Not sure what year it was when this record came out, but I’d hazard a guess that it was something like ’97 or ’98 perhaps. Who knows. Does it matter? Is it important to place records in some kind of grand chronological schema? To me it is, dammit, I love the chronology. This followed that followed this followed that… and so on. It helps me to place the originality and lineage of records into a context, I guess. Anyhoo, gorgeous white vinyl on this 7″. I really love opaque coloured vinyl a whole lot more than transparent; it tends to look just like you could take a bite right out of it. Like a big round, thin, vinyl cake. I’m not massively keen on the design of the sleeve here, I must admit, but I do like the typeface they’ve used – Cooper Black, is it? I think so. Duophonic Super 45s has always struck me as a slightly odd label – they tend to release this and that whenever they seem to feel like it, with no particularly fixed roster or ‘plan’ behind what they put out there. Not that that’s a bad thing. Just a bit confusing at times. Monade (as featured on the B-side, you can’t tell this from the picture above) is something to do with Stereolab. I’ve a feeling it’s Laetitia Sadier’s other band. 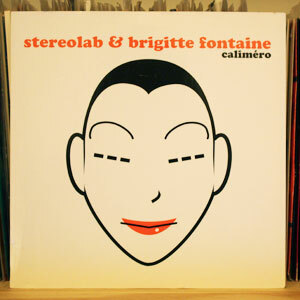 They’re pretty similar, anyway – especially this-period Stereolab when they were in the height of their cutesy French pop-tinged phase. (At this point I feel compelled to whisper that I much, much prefer the more driving early work, as clichéd as it is to say such things…) I don’t know who Brigitte Fontaine is. As memory serves I purchased this record from the outstanding mail order service that is Norman Records. If you’re any kind of music fan and not aware of them, find them online today and spend tons o’ bucks with them. You won’t regret it. I was going to say how this record was part of the short-lived ‘Earworm Gold’ series, launched after the demise of the Earworm label proper, but a bit of internet research points out to me that the series was made up in fact of a whole ten releases, all of which I own. My memory surprises me at times in its sheer ineptitude and unhelpfulness. 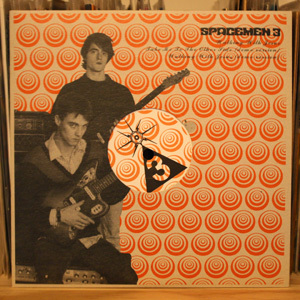 I never tire of listening to the woozy, druggy sounds of Spacemen 3. I wasn’t quite there at the time – I got into them in around 1990 or so. 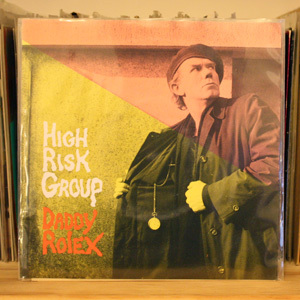 But even in the context of a musical lineage that they obviously slot into with grown-up hindsight (the blues, garage punk, psychedelia) they must have sounded pretty far out there in the shiny pop climate of the mid 1980s. Not that they were ever pop, you understand, but things were simpler back then. There just weren’t as many bands around. Going off tangent, I’ve met Sonic Boom a couple of times over the past years, and he’s either a drug-damaged psychic explorer of a man, or a bit rude. I’m inclined to think the latter, but listening to his records encourages me to forgive him his strange, shifty ways. Ah, 2004, just a few short years ago. 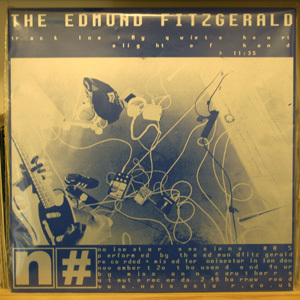 The Edmund Fitzgerald were putting out records on little labels like this one and Vacuous Pop. Who’d have thought at the time that some of them would go on to form Foals, who stormed the world of music through 2008 to become proper famous music stars? Oxford lads done good, bringing awkward post-rock disco music to the masses, etc etc etc. Bilge Pump were going to play the festival one year in the past too, but in the end they didn’t – I can’t remember if they pulled out or if our negotiations were rubbish or if they couldn’t make it, or what. I’ve seen them a few times since then and they’re a cool band with a penchant for setting up their equipment in front of the stage – all very trite in today’s world of Lightning Bolt and hundreds of other hip cutting-edge bands, but I’m sure that they were doing it first. Maybe. Back in the early-to-mid nineties I used to write a fanzine called Circle Sky, named after the marvellous, wonderful Monkees song featured on their Head soundtrack. The Head soundtrack as mentioned in the Pooh Sticks’ ‘On Tape’. A variety of record labels and PR companies used to send me records, tapes and CDs to review. One of the best labels that ever sent me stuff was Hemiola, based in Leeds. 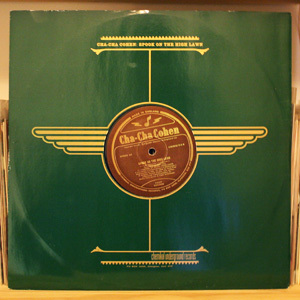 One of their releases was a 7″ by Cha-Cha Cohen, which came in a cool foil-wrapped sleeve. At a similar time, Chemikal Underground was finding its feet as a label and had released a variety of great records by bands like Bis and The Delgados. So, imagine my joy in hearing that Chemikal Underground were putting out a Cha-Cha Cohen record! One mail-based financial transaction later (Paypal was just a flighty dream back in these times), here was my new purchase in its stylish-looking sleeve. In those days, buying a 12″ was something of a challenge for me, so deeply was I mired in the world of indie-pop 7″ records and tapes. A 12″ was – to my younger self – almost to real, too conventional a format for music, and at more than a couple of quid, outside my usual spending range for a slice of music. But this one was an exception and, obviously, a small educational step towards not having such completely flawed, pointless views on music carrier formats. Wikipedia tells me that Cha-Cha Cohen were formed by three members of the Wedding Present. I’m not doubting this, or suggesting that Wikipedia is incorrect (heaven forfend!) but this is news to me, and was never part of the scant information that was available about the band back in the ’90s. For some reason, I was always convinced that they were from New York. Who knows. Listening to the record back now, they do still sound more New York than Leeds – it’s all loping rhythms and slinky, sly vocals, sounding almost like a proto-Clinic. ‘Spook On The High Lawn’ has dated well and is actually a bloody great song, and the weird, excellent remixes on here (by Hood and Sasha Frere-Jones, aka Ui) do nothing but add value. It’s been a pleasure and a small revelation to listen to this again after over a decade. Look at that vinyl – it’s a joy to behold! The gorgeous orange/green split reflects the colours of the band names on either side of the skimpy insert that’s also held within this record’s plastic sleeve. Plain, simple, effective. Love it! The Great Pop Supplement is a label I’m inclined to buy every release from, as they’ve proved consistent form not only in putting out interesting, out-there music, but they also package stuff brilliantly and uniquely. You don’t get a two-coloured MP3 arriving in five seconds after an iTunes download, do you? There’s more to music than just, er, music. The label is run by Dom, the guy that previously ran Earworm, another inspirational label with a ton of fantastic releases under its belt. I’m sure I read in an old fanzine somewhere that Dom’s inspiration for starting up Earworm came from Keith, the guy behind Wurlitzer Jukebox, a doubly special label that seemed to in some ways signify the early days of the whole alt-folk/post-rock scenes that are now such a massive influence over modern independent music. So you see how the baton gets passed from person to person, and the creativity continues? It’s inspiring! Oh, and what of the music on this record you ask? Well, I’ll just whip out my jukebox-hole-adapter and give it a spin. 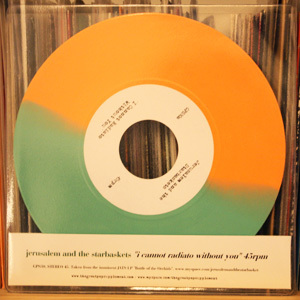 Jerusalem and the Starbaskets: Fuzzy, droney modern take on ’60s R&B. Like an out-take from a sedate Monks session, heard through a filter of Elephant 6 bands and perhaps with a sliver of Sebadoh in there too. Short and sweet. Hush Arbors: Whacked out, skiffley foresty folk music. Sounds like fun was had. According to the liner notes, ‘Recorded at The Bong, London’. Say no more. 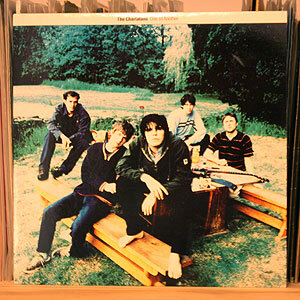 Ah, happy mid-90s Britpop times, I was at university, enjoying life, swaggering about wearing a charity shop Adidas tracksuit top and a pair of Puma States, smoking fags inside and getting caught up in the post-Oasis-going-big revelry that – deny it if you will – was genuinely exciting and fun. I think that the Charlatans were at their peak at that time, having matured from their early, brilliant Hammond-infused incarnation into a groovy, danceable band that totally exuded confidence and warmth. Tim Burgess was looking particularly cool in photos around this time, too. I saw the Charlatans play a couple of times; one that springs to mind was at the Rivermead Centre in Reading, in a basketball-court-turned-venue that was, the same night, the happy coincidental time of a surprise meet-up with my old pal Colin, who had popped over from Worcester for the night to see the band. Always good to see him, and it’s been a long time now since I did. I was with my sister, if memory serves correctly; we weren’t often at the same gig but she loved the Charlatans too (and, indeed, introduced me to them through her own listening habits a few years beforehand). Peter Hook’s super-dull outfit Monaco were support at the show, and amusingly drove around 75% of the crowd out of the room and into the bar for the duration of their set. Yes yes, he was in Joy Division and is therefore an untouchable, but my word Monaco weren’t good. It was a pleasure to see that he did indeed wear his bass guitar as low to the ground as legend has it, however. Not sure why Tim Burgess has no shoes or socks on on the cover of this record. He has big feet that look like they’d whiff a bit. Is that rock and roll, ’96 style? I just can’t remember. Post-Millions Now Living Will Never Die, a few of these remix 12″ers were released for no apparent reason except to serve as interesting counterpoints to the album proper. I really like their sleeves – a kind of ‘factory sleeve’ created just for this set of releases. This one’s printed using very pleasing silver ink. Can’t remember where I picked this and a couple of the other remix records up from – I seem to remember it was something bog-standard and uninteresting like HMV. This was back in the days when HMV sold actual records containing real music. The Reading HMV (I was living in Reading when this record came out) had a superb selection, with handwritten stickers on each one, describing the record. Whoever was working there at the time deserved a firm, manly handshake. Anywhere, this record has remixes by Spring Heel Jack and Jim O’Rourke versus Bedouin Ascent. 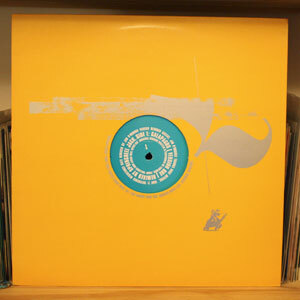 The former sounds kind of dated now – it’s all drum’n’bass scattershot rhythms which were once exciting and new. The latter is much more interesting – still kind of d’n’b, but much more random, with a tendency to disappear into odd scratchy areas with little warning. Both sides are oddly warm and comforting: maybe that’s the Tortoise influence. I’m sure that around the time of this record I saw Tortoise, supported by Stereolab, play live in Reading. Tortoise were very late due to being held up at customs, or something. That’s all I remember about the show – although that’s more likely due to my poor memory rather than it being a forgettable one. Tortoise and Stereolab? That must have been good.